Admissions have been started in University of Engineering & Technology UET Taxila for regular and self-finance bases in of the top engineering university in Pakistan. See Entry Test 2019, Ph.D. & MSc Fall admissions. UET Taxila offered academic courses for engineering in undergraduate, graduate, postgraduate and Ph.D. We are writing here information regarding admission in UET 2019 along with entire admission guide as well as last date and jobs in UET Taxila. Taxila engineering university is included in the list of Pakistan’s leading engineering universities by HEC ranking. The UET central campus is located in Lahore that also operating its other campuses like as UET Taxila campus, Faisalabad, NWL, KSK, RCET and UET Peshawar campus. 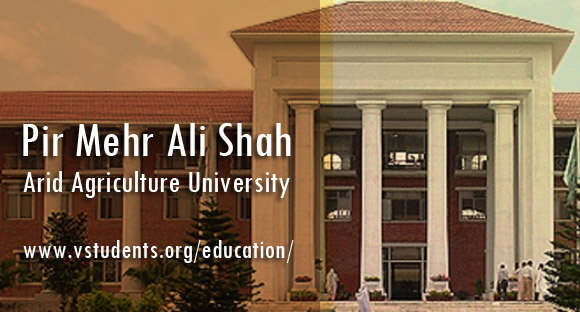 You can check the UET Lahore Admission details. Here you can get admission details about UET Taxila merit list 2019, entry test last date, fee structure for all programs and jobs are mentioned below. If you got admission in that engineering university then feel like a pro because it’s not easy to get admission in highly valued PEC and HEC recognized institute. Taxila engineering university admissions have been open for core engineering programs like BS, BCS, MS, MSC, up to Ph.D. level programs. Candidates are pleased to apply before UET Taxila Registration 2019 last date for any preferred course. As UET Lahore which is the main campus conducts entry test via national testing system NTS, UET Taxila campus also follows the same entrance test for newcomers. After that UET Taxila merit list, 2019 will announce successful students in error-free manners. Don’t get panic we will guide you throughout the admission procedure for getting admission in top engineering university. Here we will explore the admission guideline, UET Taxila fee structure 2019, application process, eligibility criteria and jobs for teaching & non-teaching staff in University of Engineering and Technology Taxila. Check below all the important dates of Uettaxila for MSc and Ph.D. Fall Admission 2019. Also, check entry test date as well. Taxila engineering university fee structure 2019 is mentioned below for your ease of BS and MS Programs. For more fee details of University of engineering and technology please visit the official website. The admission registration forms are required to fulfill its limited seats in various engineering subjects that are stated below. The students carefully read eligibility criteria for UET and other related information to submit their application forms before UET Taxila admission last date. Ready for getting admission in engineering institute? STOP! check out these best-performing engineering universities in Pakistan NED University Admission and ITU Lahore Admission. For applying in above these courses you must have completed intermediate examination FSC (Pre-Engineering) with at least 60% marks. Those candidates who will submit their forms in computer science, software & telecommunication engineering, and electronics, they must have read FSC with mathematics, physics and computer science. The applicants should have appeared in the combined entry test exams at the centers held by UETT and date of written test will be announced later by the respective authority of this prominent engineering university of Pakistan. The various departments of UET announced different programs for bachelors on their needs and recent age demands such as MSC Thermal Power Engineering, Manufacturing, MSC Mechatronics & Control Engineering and other which are being offered by the institute that are listed below. The department of CE of Taxila engineering university is offering you to get higher studies by highly educated faculty members in several sections in this engineering branch and get a stunning job in any engineering square after completing the MSC degree course from Taxila university of engineering and technology. Only those candidates are allowed to be enrolled who have passed PEC (Pakistan Engineering Council) or PCATB (Pakistan Council of Architects and Town Planners) authorized degree in the relevant discipline, securing 1st division in annual system or gained 3.0 CGPA out of 4 CGPA from semester system of examination. The admissions have been announced by the institute in Mphil several courses like as in Applied Chemistry, Mathematics and Applied Physics where those candidates will be called for written test; who are having 16 years of educational background and do their MSC with 60% marks from any recognized university by HEC (Higher Education Commission). The University of engineering and technology is providing you a huge terrace of higher education to get the doctorate degree from this spot in several engineering programs as mechanical, civil, electrical, computer science, software engineering, and industrial engineering. For taking admission in these programs the application forms are also required for both regular and self-finance timings. If you are having a strong educational history of 17 years with had not taken below to first division in your MSC and MPhil degrees then you are eligible to submit admission forms in this mentioned Ph.D. programs in any subject that you desired. The institute will conduct written entry test 2019 for the eligible candidates and those candidates, who will pass the admission test, will be able to get admission in UG, PG courses. NOTE that these dates are tentative and can be changed because the university may extend the dates for this you must follow this Admission Schedule Portal from UET Taxila official updated date. It widely informed to get admission in MSC programs, MPhil or Ph.D. than applicants must have passed their GAT or NTS test with the minimum scoring of 60% marks otherwise their forms would be refused by the respective authority. The application forms along with prospectus can easily take from the admission office of UET or can also be obtained via official website www.uettaxila.edu.pk UET rules and regulations mentioned in the prospectus are applicable. Completed admission forms with all necessary attachments along with paid challan form shall be submitted to the respective department before the “last date of registration in the University of engineering and technology Taxila”. Incomplete and applications submitted by courier or mail will not be entertained. Pakistan’s renowned institute of engineering is seeking eligible individuals for faculty members and administrative staff. The “jobs in University of engineering and technology Taxila” have recently announced by the relevant authority where it also informs you to please submit job application forms on time before the jobs closing date at UET Taxila. You must have to attach all educational documents, experience certificates, two recent photographs and a copy of NIC with application forms to apply in UET Taxila engineering university. Bsc civil engineering Merit list please. Sir, can DAE pass student apply for BS programme i-e for mechanical? I want to do BSE in civil engineering on diploma base. What’s the Merrit? and what will be on self-finance? Is NTS is required for petroleum engineering? Please tell me Software Engineering Fees Structure.